The ski resort of Meribel is considered the centre of the Les 3 Vallées as skiers wanting access between Courchevel and Val Thorens have to pass by Meribel. However, visitors to Meribel need to take note that the ski resort has 2 separate village base, and both are at different altitudes. The higher of which is Meribel-Mottaret at 1,750m and Meribel Centre at 1,450m. Then there is a smaller Meribel Village at 1,400m which I would not cover as it is the smallest and perhaps of least concern for visitors as the bulk of skiers would probably stay in either Meribel-Mottaret or Meribel Centre, with the latter being the larger of the two. 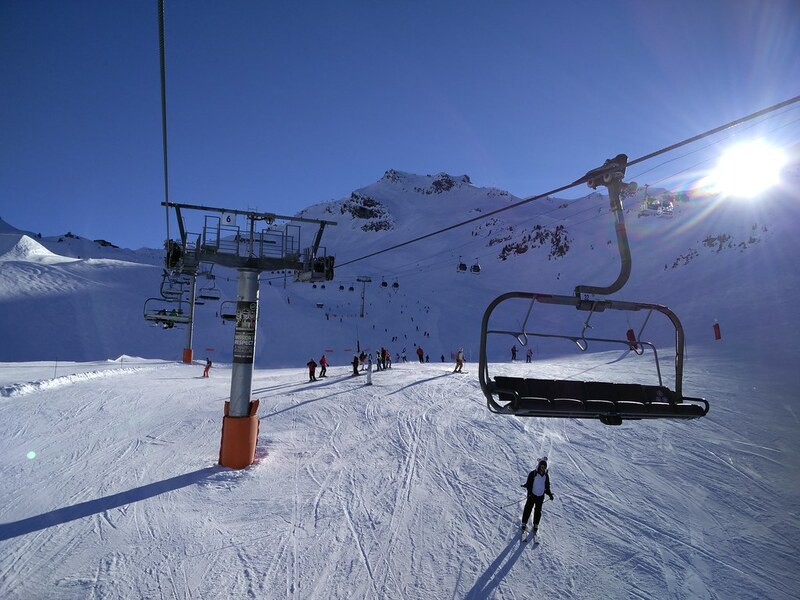 Meribel is the closest and perhaps the most accessible from Moutiers. Alternatively skiers could stay in the town of Brides-Les-Bains which shares the same train station with Moutiers and board a series of cable cars to access the Meribel Centre. 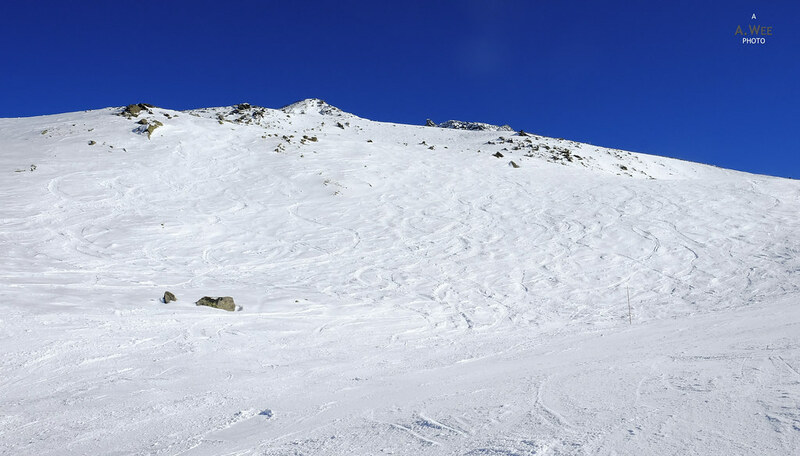 Otherwise to get to Meribel from Val Thorens, take the 3 Vallées gondola to access the summit of Mont de la Chambre at 2,850m, then ski down the red-marked Lac de la Chambre. This is something most skiers should have no problem doing as it is not too steep, but it is a relatively long trail for those who are not used to large resort skiing. 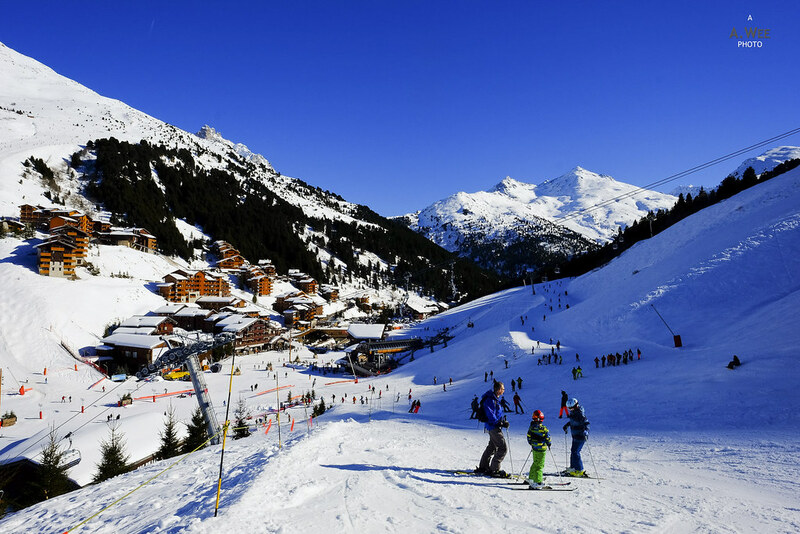 From Courchevel, access to Meribel is via the top of Saulire at 2,700 metres and there is a blue-marked ski trail leading to Meribel Centre, though only red-marked trails lead to Meribel-Mottaret. 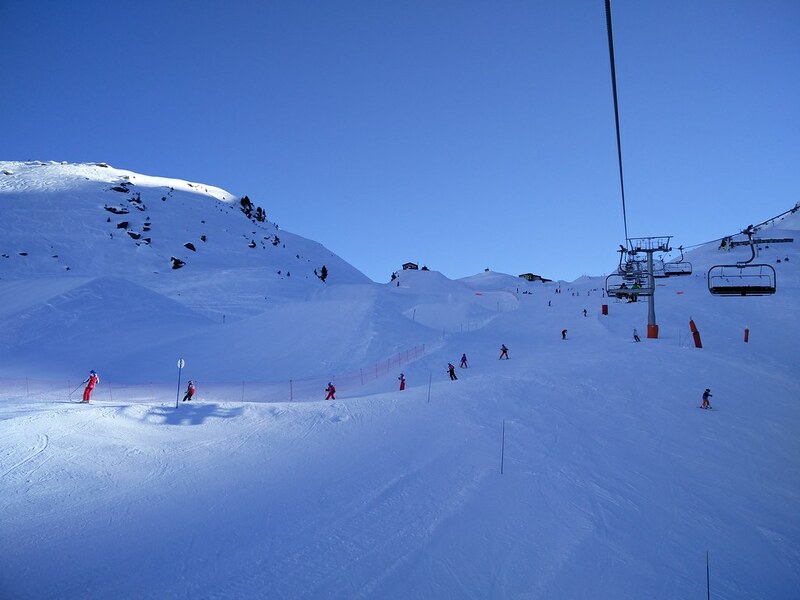 The feeling of Meribel as a resort is slightly more traditional (read: older) and while it still has an impressive lift and gondola network, the carriages seems to hark back from the 1980s. Not exactly a bad thing as it gives it a quaint flavour. In fact the Plattieres 3 cable car has a very unique seating configuration. However do take note small gaps exist which can make it cold inside. 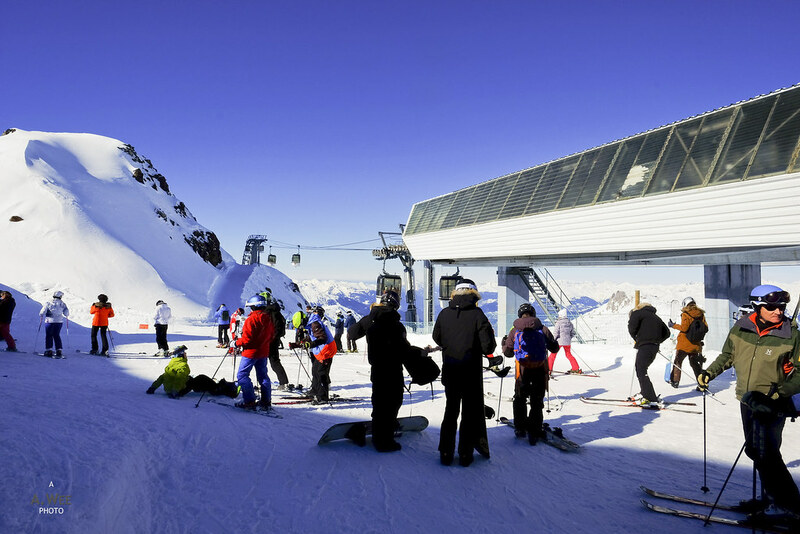 A major gondola is by Mont Vallon which is right along the way from Lac de la Chambre. This large gondola brings skiers to the top with a height of 2,952m, which is also the highest lift-accessible summit in Meribel valley. 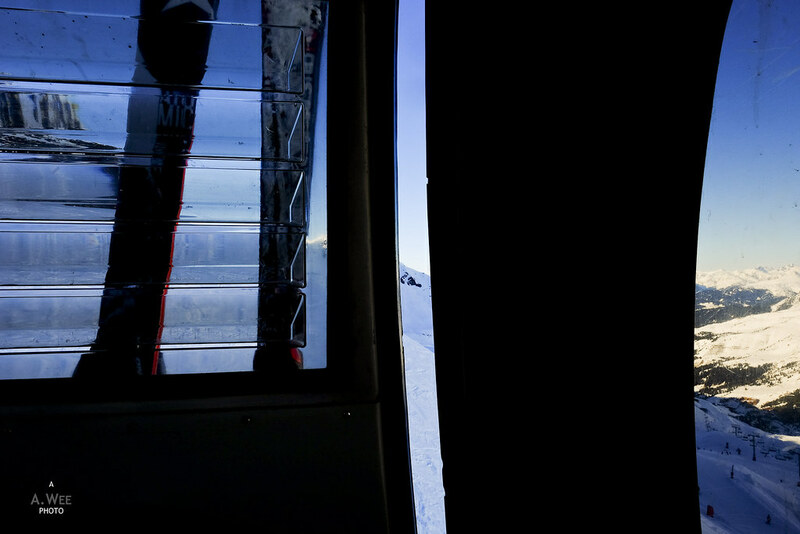 Plattieres and Pas Du Lac both comprise of 2 separate cable car systems that allows skiers to access Val Thorens and Courchevel respectively from Meribel-Mottaret. Meanwhile Tougnette and Saulire Express leads to Les Menuires and Courchevel respectively from Meribel Centre. In both instances a change is necessary to reach the peak and access the other ski resorts in the Les 3 Vallées network. 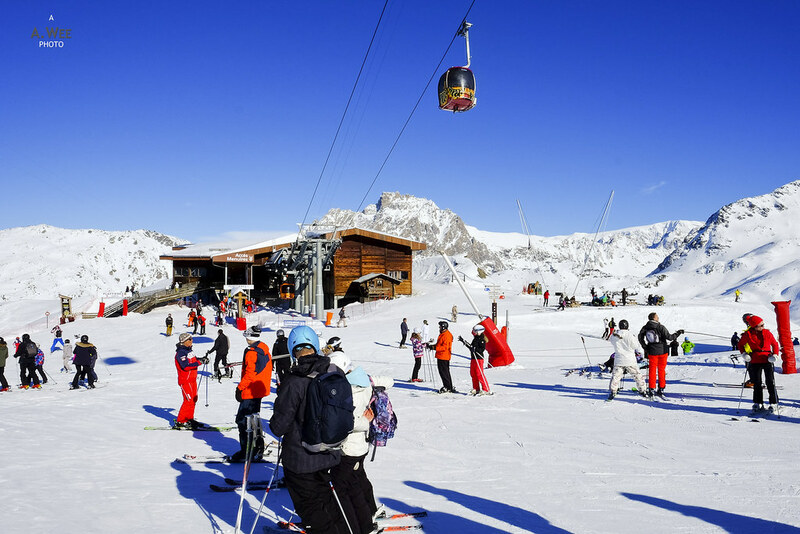 Other chairlifts system are spread out around the Meribel Valley and families might want to check out the Altiport area with numerous chairlifts around a beginner-friendly area. The Altiport area is best accessed via the Rhodos chairlift around Meribel Centre. Like Val Thorens, Meribel sells ski passes for the 3 Vallées or just for Meribel Valley only. They also sell 3-hour or afternoon tickets. A single day lift pass for Meribel Valley only would cost EUR50 (~$68) and this is on par with what Val Thorens charges. The 3 Vallées pass is the same price everywhere one gets them and it costs EUR59 (~$67). 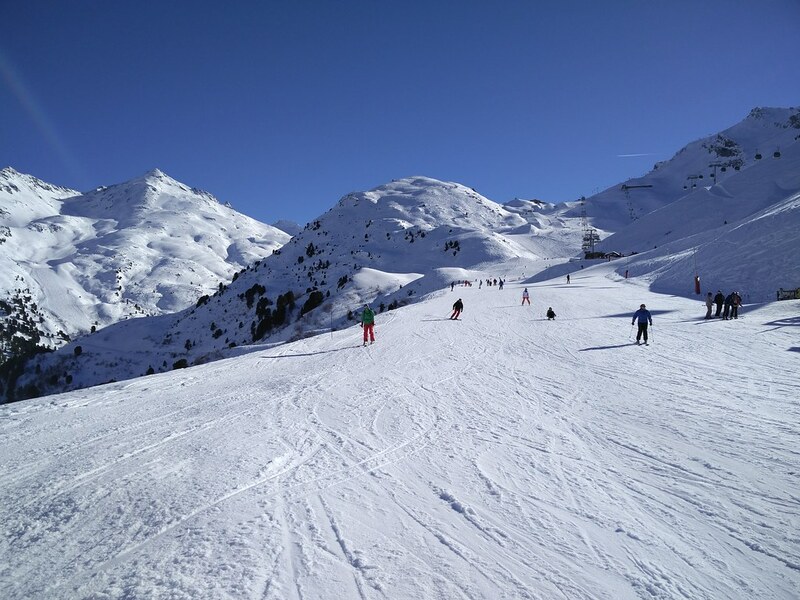 Given that Meribel is as extensive or perhaps even larger than Val Thorens as a whole, I have to say it is very much worth it to stay in Meribel and just to ski in the Meribel Valley. 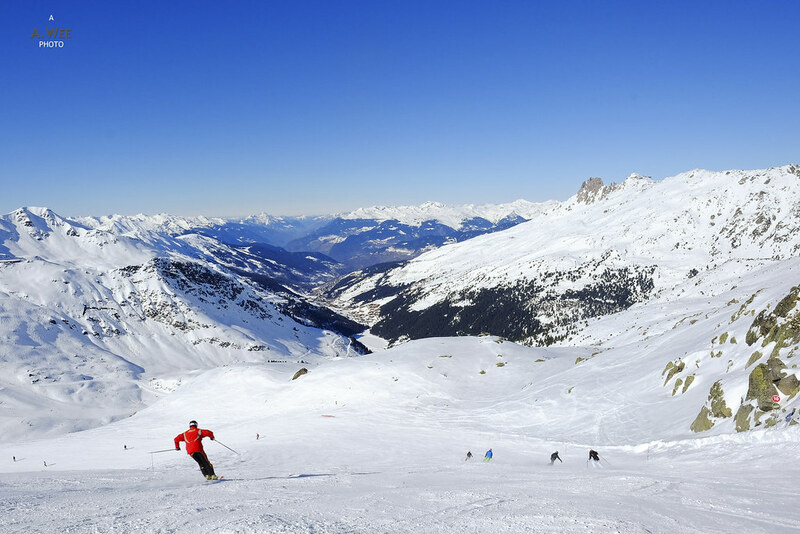 Though for a mere EUR9, it is easy to get to Val Thorens or Courchevel from Meribel so I would honestly just go for the 3 Vallées pass every day if staying in Meribel. 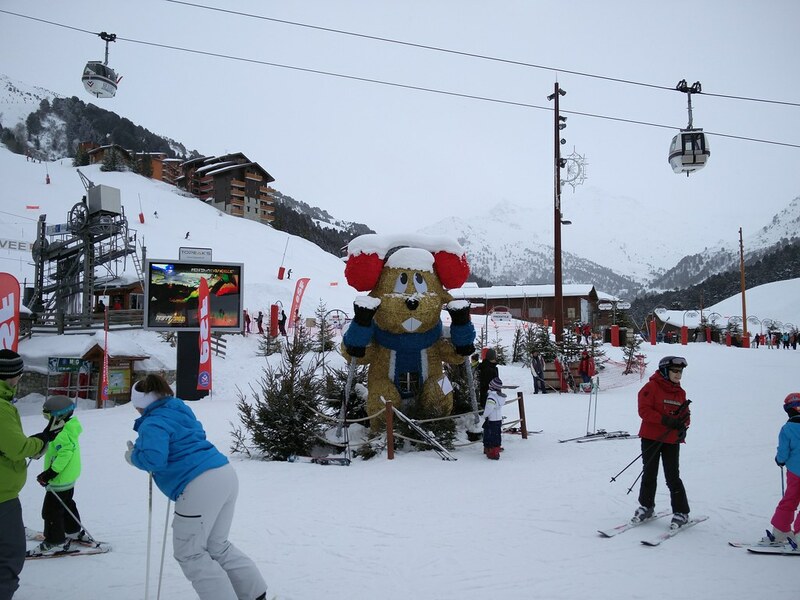 Meribel has far more extensive ski areas for beginners and those new to skiing. In fact the whole area around the Altiport is marked as a ‘Ski Cool’ zone for learners. This large area is accessible from the top of Saulire Express 1 or the Rhodos chairlift from Meribel Centre. Those staying in Meribel Mottaret needs to pass through a blue-marked run to reach the starting point of this easy beginners area. 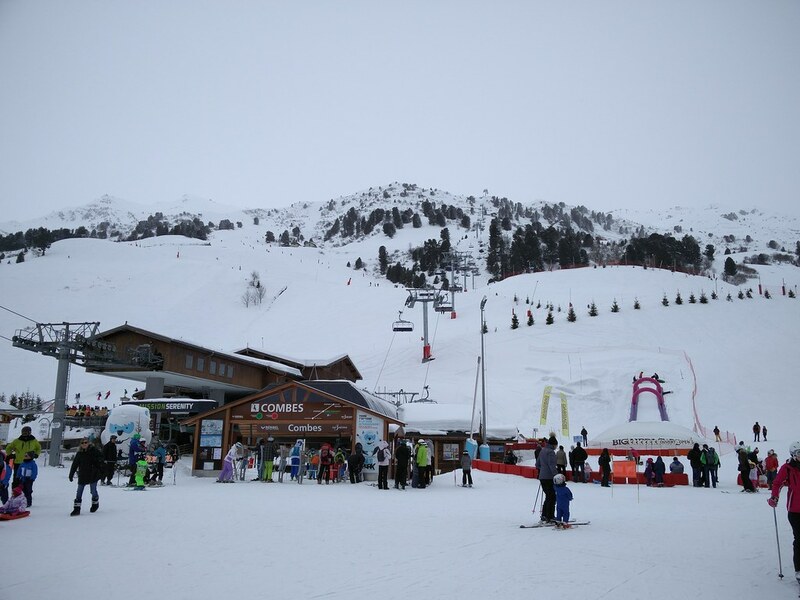 Other beginner areas includes a Yeti Park built for beginners who are into jumps and to have some fun with terrain parks, and this is accessed via the Combes chairlift from Meribel-Mottaret. The unmissable Yeti statue in front of the chairlift makes it a focal point in the base. 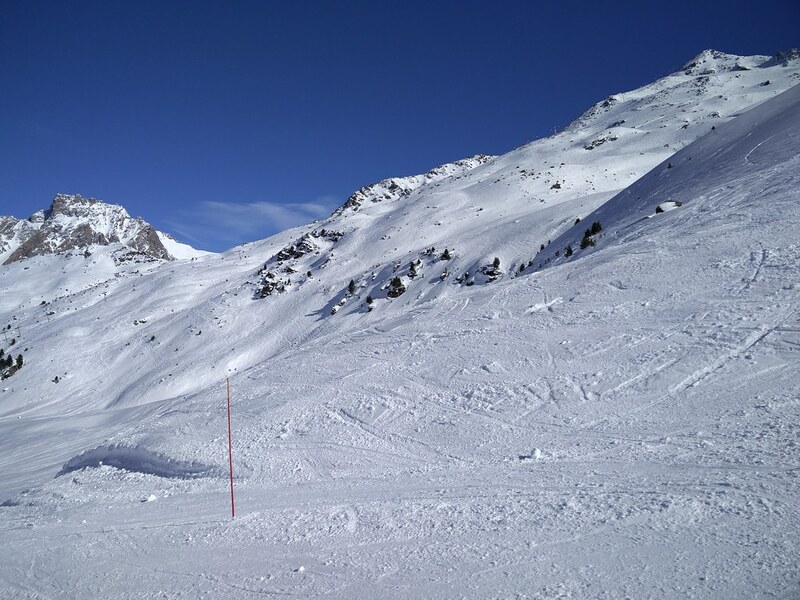 Most of the intermediate runs in Meribel are not as steep and there are a higher proportion of blue-marked runs making it easier for progressing beginners. There are easy blue runs from the top of Plattieres cable car leading back to Meribel-Mottarest and more blue runs are also found from the top of Saulire to the Altiport area and Meribel Centre. The more challenging red-marked trails are probably those from the top of Mont du Vallon. Compagnol and Combe du Vallon leads from the peak of Mont du Vallon to either the base of the Mures Rouges or the Plan des Mains area. Meribel also marks some Combe du Vallon as one trail to go to for a powder experience after a snowfall. Other red-marked intermediate ski runs lead down from the top of Saulire or around the upper half of the mountains separating Meribel and Val Thorens/Les Menuires. 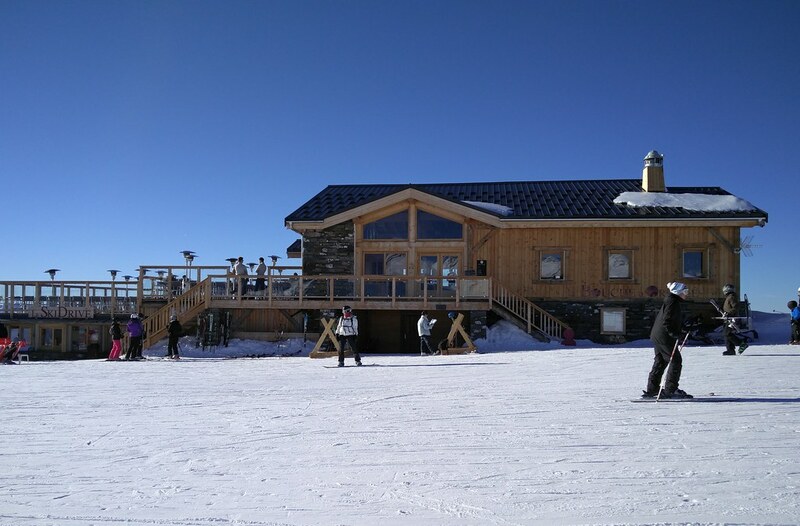 There is also the long Lac de la Chambre ski trail for skiers returning from Val Thorens. For a family friendly resort, there is no shortage of trails for experts and marked black. These trails are also special in that they are marked as powder runs after a snowfall though with just a day spent here, I did not have a chance to enjoy these so-called powder runs. 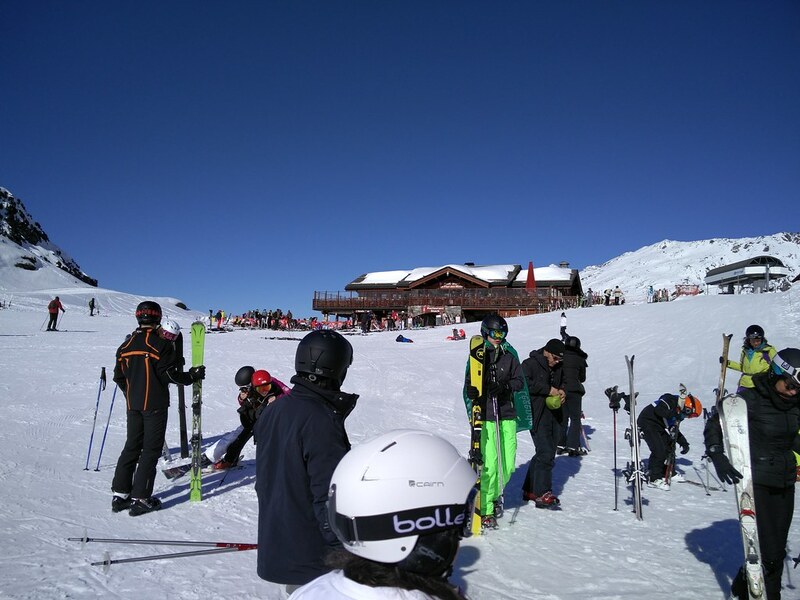 There is Grande Rosiére from Pas du Lac 2 gondola, Tétras run from the Loze Express chairlift in the Altiport area and Face run from the Olympic chairlift from the top of Roc de Fer which is also an entry point to Saint-Martin-de-Belleville. 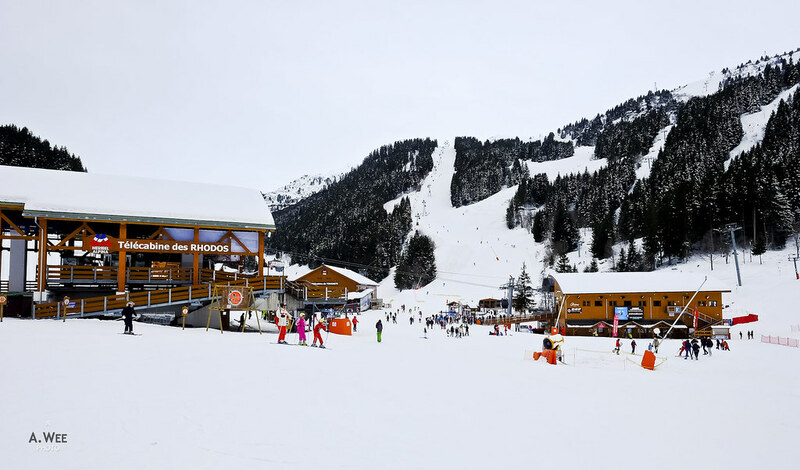 Naturally, there are also some off-piste opportunities for the more adventurous with the tree-less Mont du Vallon being a prime spot for off-piste riding and skiing with some steep sections. With Meribel being located in a lower altitude, there are also some spots for tree-skiing here. A black-marked ‘Bosses’ run can be found underneath the Plan De L’Homme chairlift which sure sounds like a testosterone filled challenge! These tree-skiing sections can be seen from the Rhodos base around Meribel Centre. Fun times can be had for park riders in the Yeti park off Combes chairlift and there is also a neat area between the trees named Piste des Inuits which is accessed from the Altiport tow bar system. 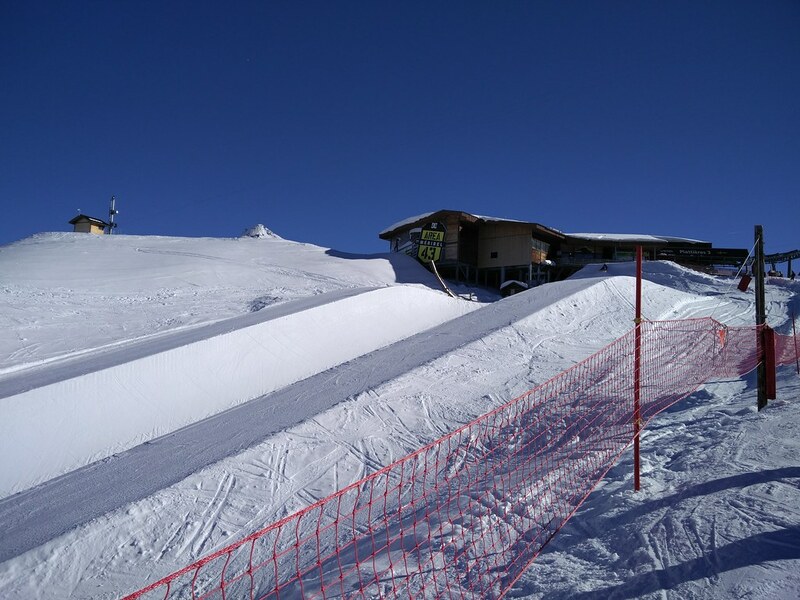 Meribel also prepares a half-pipe for advanced boarders and skiers seeking more thrills in ‘Area 43’ which can be reached from the Plan des Mains chairlift. Finally, there is a Moon Park with a wave terrain like the one I have tried in Kiroro resort in Hokkaido, Japan. 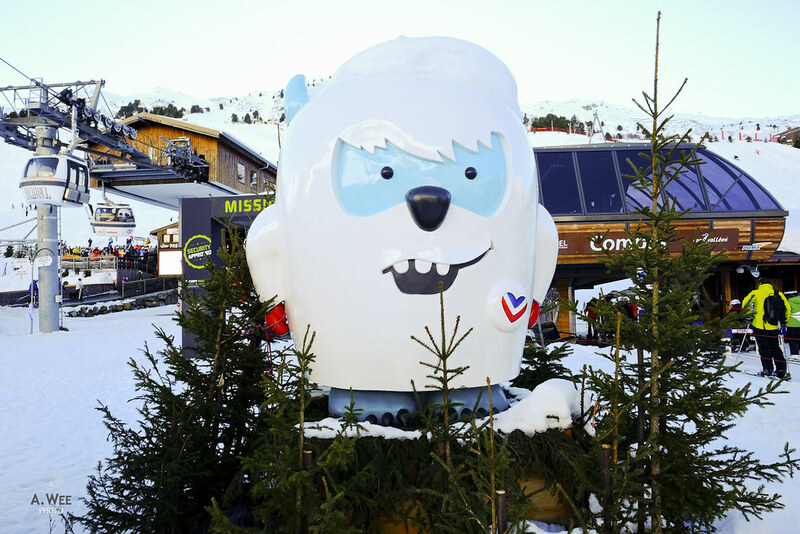 All these specially prepared parks and fun zones certainly makes Meribel a more comprehensive area that caters to different skiers and boarders. 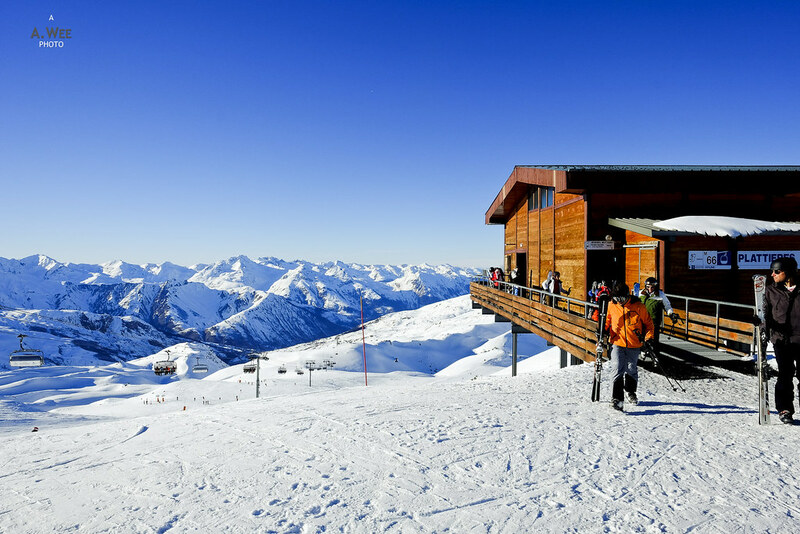 Since Meribel shares its summits on the Plattieres side, there are several lodges up there. There is a lodge each on the peak of Mont de la Chambre and the 3 Marches. Both of them have restaurants that open till the closing of the lifts. Otherwise one of the busiest restaurants on the mountain should be the one in Plan des Mains. Being the starting point for the ride to Mont du Vallon, this site is also the midway point for the ski trails from Val Thorens to Meribel-Mottaret. 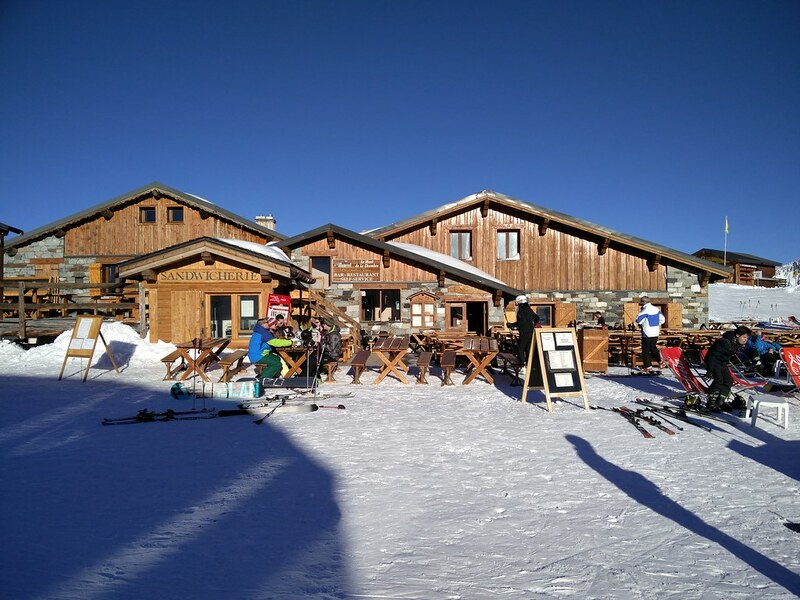 Aside from the lodges, there are some restaurants in the Meribel-Mottaret area which is as busy as the base at Meribel Centre. Like Val Thorens, the food is distinctively European, though there are some places for snacks and crepes. 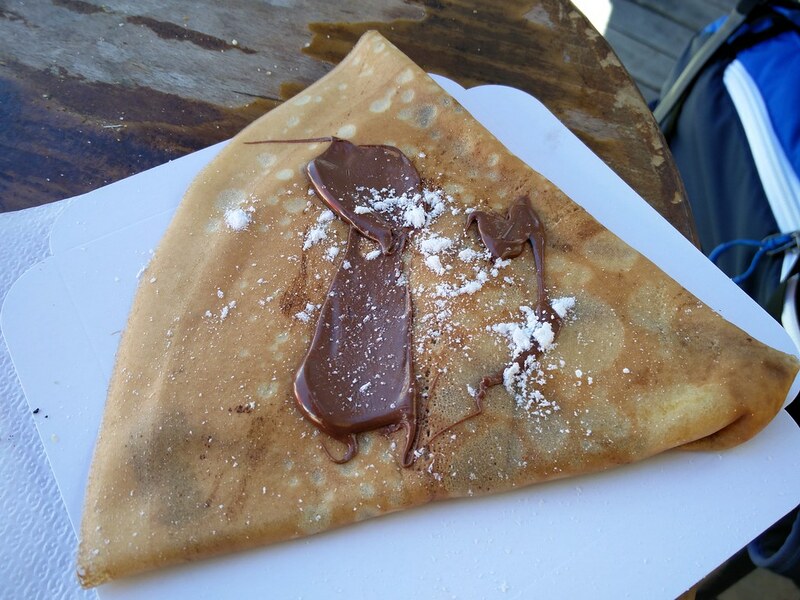 After all when in France, having crepes is a must, and what better way to re-fuel for the slopes than with a Nutella crepe! Accommodations in Meribel are really spread out. 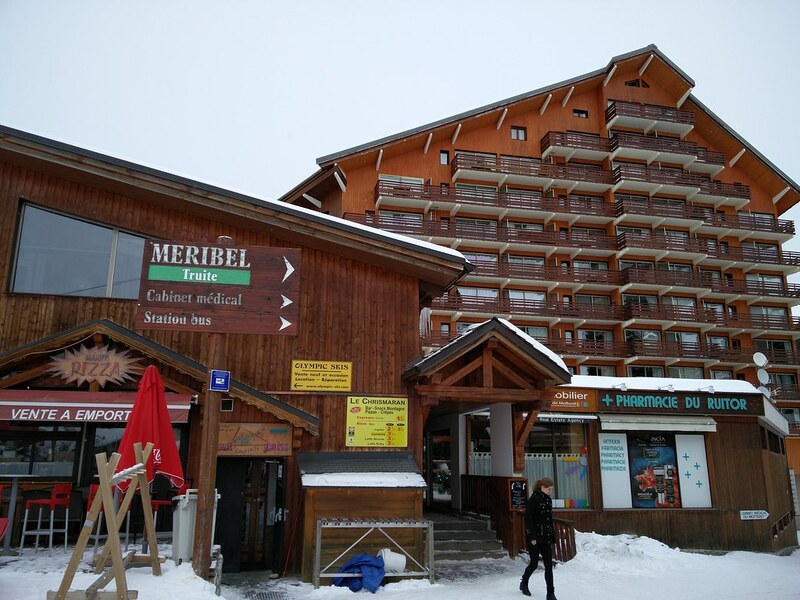 Not only is the village split into 2 major sections, there hotels are also spread out in Meribel Centre. 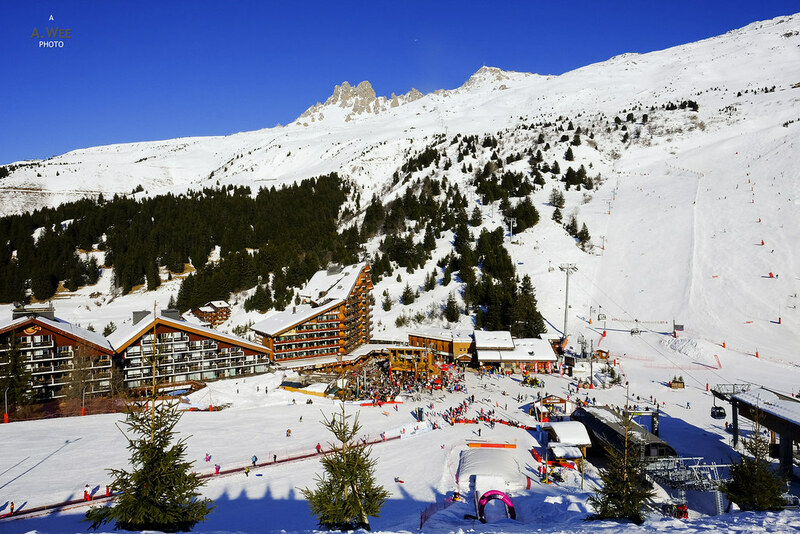 Limited choices are available in the Meribel-Mottaret area as this is a smaller village compared to Val Thorens. There are some full service hotels and a Club Med property, though most of the rooms in Meribel comprises of chalets for families. After all the warmer climate in this lower altitude resort and the expanse of the beginner area makes it suitable for families. 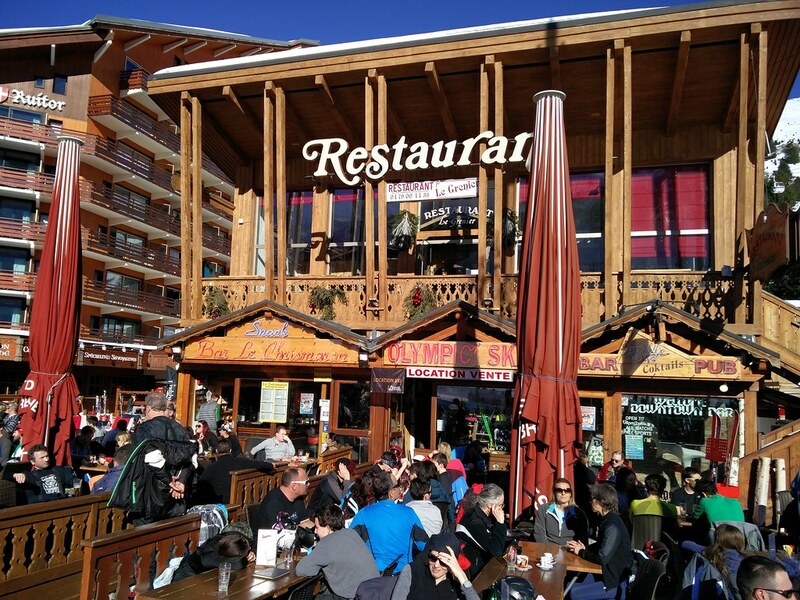 With the lodging in Meribel quite spread out, most skiers congregate for aprés in the base of Meribel-Mottaret or Meribel Centre. The restaurants with a patio would be crowded on a sunny day, and there are a couple of them around! From the highest lift-accessible summit at the top of Mont du Vallon, the view is probably the most spectacular. Skiers could even get a view of the village of Meribel-Mottaret from the trails down. Otherwise there is a nice view from the top of Plattieres as it overlooks the other side of the valley where trails lead down to the resort of Les Menuires. The view here is especially beautiful in the sunset as it gets the best rays in the afternoon. 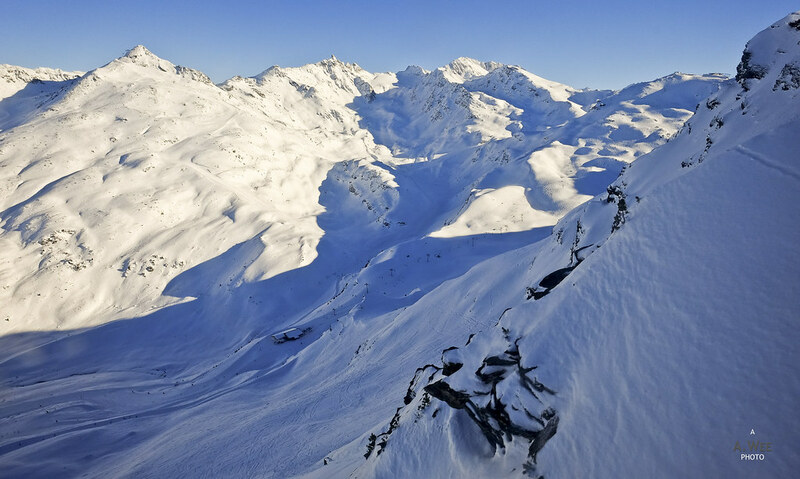 Located in the middle, Meribel is probably the most convenient to access. However the lack of a large village means that the area would probably become very quiet past sunset. This is not exactly bad for groups who are more concerned with skiing and thus suitable for families. 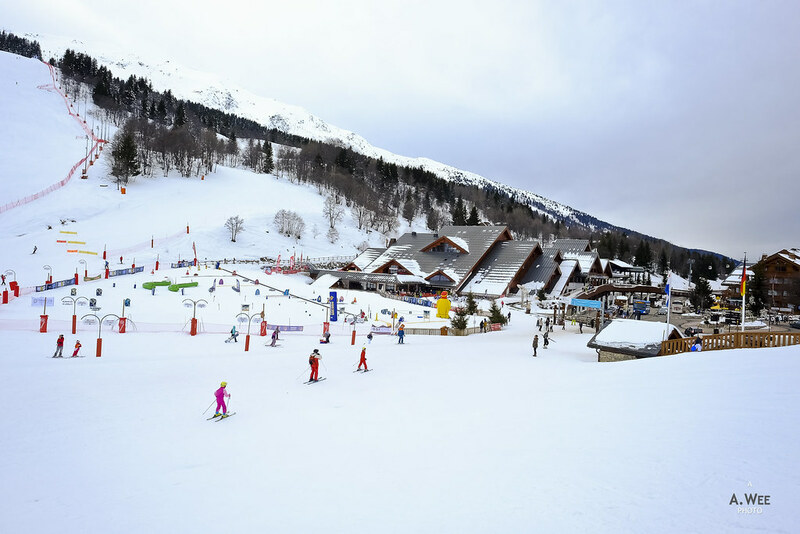 For sure, this ski resort is not as marvellous as Val Thorens, but it has a different kind of charm and it does have its own attractions like the Mont du Vallon access and the numerous park areas built for fun. With that, skiers would still be entertained here and that is one of the greatness of skiing in the Les 3 Vallées and exploring the various ski areas!